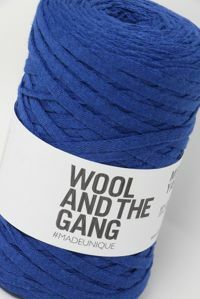 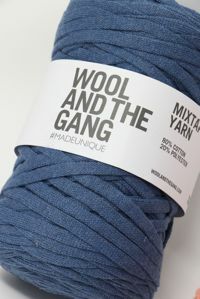 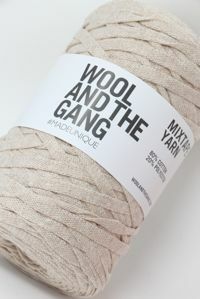 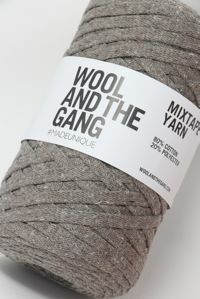 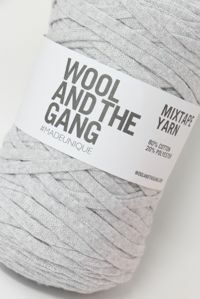 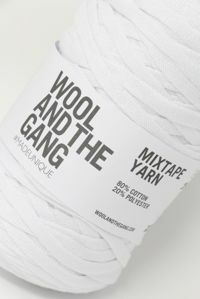 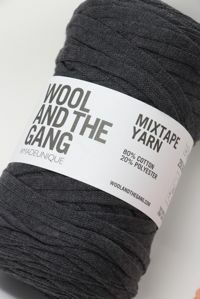 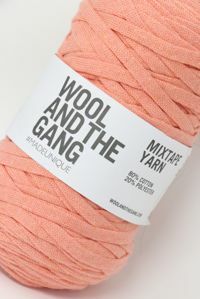 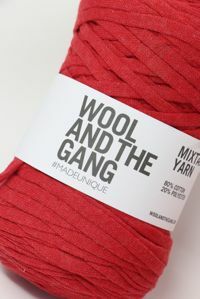 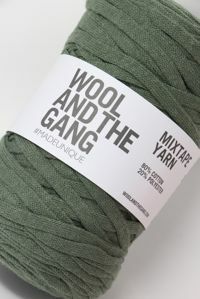 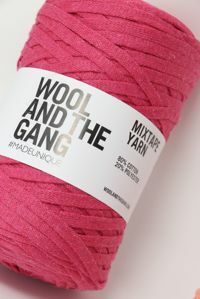 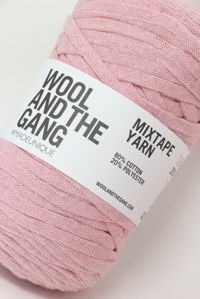 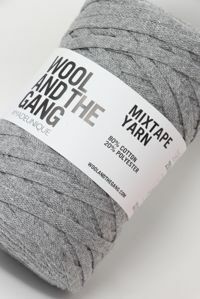 Wool and the Gang's Mixtape is a stretchy, squishy tape yarn in fabulously fashionable colors that qualifies both as a ribbon yarn AND a regular yarn. 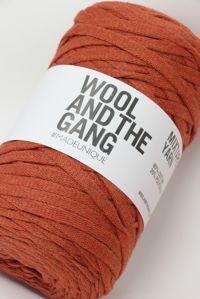 Knit or crochet, its FUN! 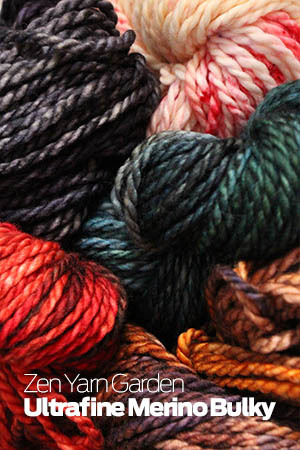 Made out of recycled scrap tee shirt yarn, there's a pattern out there waiting for this yarn and your fingers! 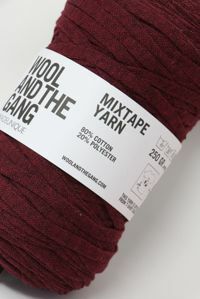 MIXTAPE is a stock item - ! 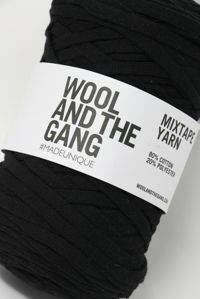 If you need more than what's available you can Special order MIXTAPE YARN. 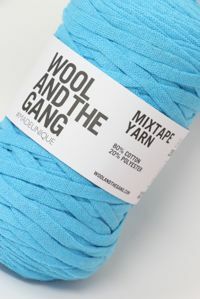 Naturally sourced, renewable and biodegradable. 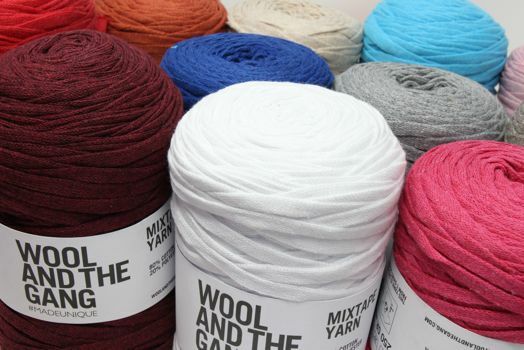 WTG repurposes fashion waste into new yarns innovative and beautiful!